Obviously, this is already a lot to get back from a simple shift to a more “giving” attitude. But wait there is more! You will begin to see other positive returns as you give. Since you are seeking to provide a helpful Synchronicity for others, you will notice more people synchronously coming into your life. They may be there to give you helpful information at just the right time, or they may provide money with a financial opportunity. That is why the less money you have, the more important it is to tithe. If you look closely, you will notice that we tend to have contact with people who practice behaviors similar to our own. This is the large picture of the Karmic Design of the Universe. If you are a giver, you attract other givers. If you are a taker, you will see people coming into your life who take from or mislead you, and this can very likely cost you money. If you want positive, giving experiences in your life, start by moving into alignment and becoming a conscious GIVER yourself. To see how well this principle works in your life, stay mindful of your experiences and then watch how people will regularly present Synchronicity to you. Our knowledge about life is incomplete, therefore, unpleasant events can occur. Understand though, everything that happens in your life is not always the result of Karma. For instance, we may become ill. This is not happening because of Karma but for another reason, like you have not yet learned to avoid dangerous foods that will make you sick. In another instance, we might be involved in an accident because we have not actualized our greater intuitive ability to see it is coming. These events are not Karmic, but they are occurring because human evolution hasn’t yet solved these certain problems. Consequently, we must continue to practice “giving” as our main Karmic principal and then the quality of our lives will greatly improve. Once you decide how much money you want to give away, the fun part begins! 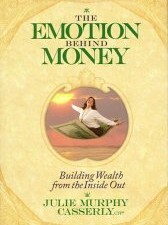 You get to enjoy waiting and watching to see where you are intuitively led to give the money. It could happen in many ways. Sometimes, you’ll sense you should tithe to a particular person. Other times, it will be to a charity, church, or some other creative project. Remember, there is a long tradition in sacred scripture that says once you specify money as a tithe, it doesn’t really belong to you anymore, so give it freely. In this system, scripture also shows us you can test this Divine process by giving and fully expecting a return of money; though it will not always be returned by the same given source. It is that certain of the principal! Just be true to the attitude adjustment, stay open, and don’t miss anything. The return of the money back to you is always mysterious and imbued with rich Synchronicity. Sometimes, it happens out of the blue, revealing an economic windfall. It could be a person who shows up in your life to reveal an opportunity that pays off with a gain in money. Or better yet, you have already given all the money you have to tithe, and afterward, you happen upon someone who really needs more help. Synchronistically, someone then suddenly emails you looking for a good cause for their money. In this case, you turn over this guidance and become a conduit for even more giving. Obviously, tithing has many implications for social good. First of all, the Divine Design seems to be set up to develop even more “giving of money” to help others in the world. The more we give, the more we receive, which produces even the more money to give, and so on. If suddenly, everyone in the world decided to give 10 percent, there would be plenty of money to solve all the problems besetting humankind, launching a new era of spiritual consciousness. And notably, it wouldn’t be a wasteful government doing it. We could completely eradicate all poverty with educational outreach, clean up the harmful chemicals from the environment, and move, in a less disruptive way, toward a better energy system. It would all be Synchronized from a “higher” source. All it takes is your personal decision to get in alignment with a world designed around GIVING… and then, systematically, you increase your ability to make the world a much better place.